The recent emergence of cloud platforms has transformed a number of verticals and industries, with web hosting offering no exception. But what is cloud hosting? How does it compare to its most similar hosting counterpart, the Virtual Private Server? InMotion Hosting is here to break down the similarities and differences between Cloud Hosting and VPS Hosting. Cloud Hosting is similar to VPS Hosting in its functionality, but achieves this in a different way. Rather than having a portion of a server with dedicated resources, your resources are spread across a number of different shared machines. Virtual Private Server Hosting provides you with your own partitioned server and allows you to customize and configure your section exactly the way you want it. While you share the machine with a number of other users, you have your own allocated resources. Because Cloud Hosting is usually distributed across a number of different servers, the average user has less control over their hosting parameters. Configurations to cloud server partitions may require a higher level of expertise, fitting for more experienced application developers. While more complex than VPS hosting in terms of configuration, Cloud Hosting will allow you to leverage technical knowledge and software to accomplish things that a Virtual Private Server couldn’t. 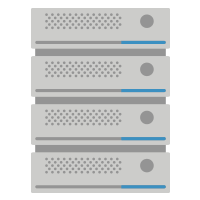 VPS Hosting gives you the ability to customize and manage the configuration of your server partition. Because your portion is isolated and the data is stored in one centralized location, you can customize and configure your environment exactly how you want. Our VPS Hosting environment is robust and provides you with pure SSD storage. The simplicity makes configuration and maintenance easier and allows for a quicker set up. Ideal for: Those with a high level of technical knowledge who can leverage the technologies a cloud system can offer. Ideal for: Those looking for a customized environment and professionals with server management experience. The flexibility of Cloud Hosting is arguably its greatest asset. The spread of resouces across multiple machines makes resources highly flexible and constantly available. Your resources can literally scale instantaneously, given the amount of traffic and workload your website is experiencing. VPS Hosting has an allotted, but scalable resource pool. You purchase a solution with dedicated RAM, storage and bandwidth that you are uniquely authorized to use. InMotion Hosting also offers extra burstable RAM for its VPS products during times of high-traffic for your website, allowing you to exceed this allotment when available. Ideal for: Websites and applications with unpredictable traffic, workload and resource usage. Ideal for: Websites with a stable and predictable amount of traffic. For Cloud Hosting, security measures can be a bit trickier, as data and resources are spread across a number of different servers and nodes. Most cloud providers offer root access, but understand that your data will likely be stored in more than one physical location. Security is one of the most important features of Virtual Private Servers. 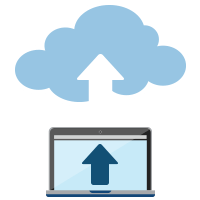 VPS Hosting offers some advantages over cloud as all of your data is stored on one server as opposed to across a number of individual cloud nodes. InMotion Hosting VPS gives you root access to set up security measures that fit your needs. Ideal for: Individuals and businesses whose priority is scalability and flexibility, without necessarily compromising in terms of security. Ideal for: Those with private business critical data who only want their information stored on one centralized server partition. With Cloud Hosting, you pay for what you use. You will typically pay monthly for the number of users accessing your applications as well as the traffic and resources used. The upside to this is that you don’t pay for unused resources and you can never run out of resources. The potential downside is a large spike in traffic could mean a pretty hefty bill at the end of the month. Generally speaking, you are paying a premium for insurance that your server can scale with your traffic. With VPS Hosting, you pay for an allotted amount of resources on a monthly basis. InMotion Hosting offers additional resources in times of need when available, but for the most part, you know exactly what you are getting and what you are paying for at the end of the month. VPS Hosting is generally the cheaper option as its simplicity helps hold costs at a flat rate and keep you free of spike charges when your Cloud Hosting scales up for whatever reason. Ideal for: Websites desiring high resource availability with undpredicable traffic and resource usage. Ideal for: Websites with predicable traffic and those who want consistent and predictable billing statements. With VPS Hosting, you pay for an allotted amount of resources on a monthly basis. InMotion Hosting offers additional resources in times of need when available, but for the most part, you know exactly what you are getting and what you are paying for at the end of the month. VPS Hosting is generally the cheaper option as its simplicity helps hold costs at a flat rate and keeps you free of spike charges when your Cloud Hosting scales up for whatever reason.